For a number of years, artist Sacha Lees has been trusting NZMS to digitise her Fantastical artworks. For her current exhibition ‘Vagrant Mind’ at the Exhibitions Gallery in Wellington we had the pleasure of viewing and carefully digitising her beautiful and unique paintings. ‘Vagrant Mind’ captures moments of contemplation – sometimes conscious, sometimes dormant. Not unlike fish in a bowl, thoughts and feelings drift idly from place to place in our psyche bringing with them at times the unexpected. Some of these unexpected notions we grapple with, while others we are more accepting of. The brief from Sacha was to digitally capture her works of art for her upcoming exhibition, ensuring that all the fine and fantastical detail in each work is shown. Sacha uses the final digitised images to retain a digital copy of all her works for potential reproductions and to showcase her skill on her website. To digitise highly detailed material we generally use the Cruse CS185 to digitise paintings which vary in size from small to very large formats. As a unique artist who specializes in painting on copper and other metallic surfaces, we chose to experiment with camera capture and studio lighting to enhance the digital reproduction of the metallic elements of her paintings. 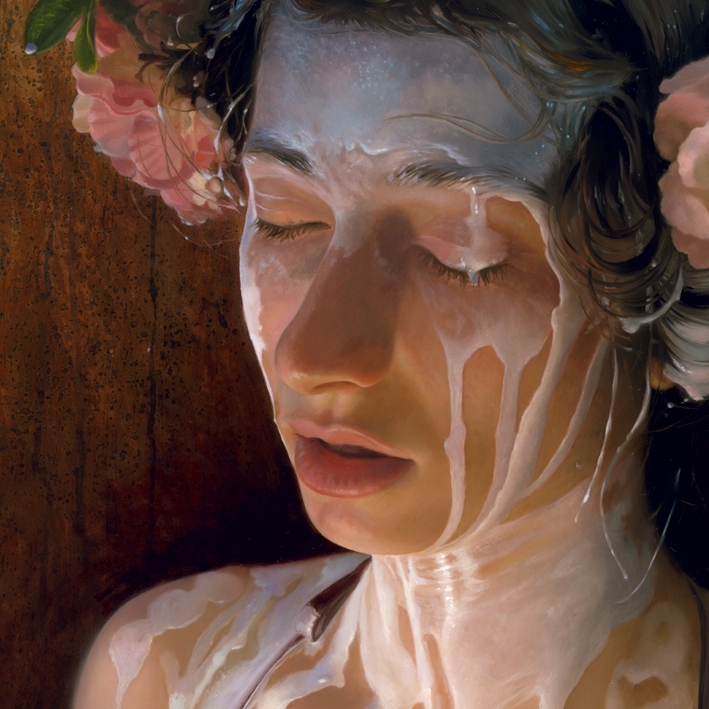 This technique enabled us to capture the incredible shine and warmth that radiates from Sacha’s works. Sacha also uses our high quality printing services to create reproductions of her works that have gone on to be sold as fine art prints. Artists are welcome to contact NZMS for any digitising and printing needs they may have. We work with you to achieve the best possible results, often creating unique processes to ensure that you have the highest quality digital capture and reproduction of your work. ‘Vagrant Mind’ opened on Thursday 26th October at Exhibitions Gallery, 20A Brandon Street, Wellington and will run until 25th November 2017. A must see show of one of New Zealand’s leading Fine Artists within the Fantastical Art genre.